Foxconn Technology Group, the world’s largest contract electronics manufacturer, which participates in the production of such products as the iPhone, Kindle and PlayStation, now going to participate in the promotion of cryptocurrency. As reported by Sirin startup Labs, a subsidiary of Foxconn agreed to participate in the design and manufacture their blockchain the phone. A new device called Finney, will allow owners to safely store and use digital currency, and receive related services. Although bitcoin has gained millions of people, but in the daily transactions, they are still used by a few. To prevent the theft of its funds, owners need to store their coins in a secure wallet, and to remember logins and passwords, which can contain dozens of characters. In December last year, Sirin gathered for your draft $158 million during the primary supply of coins, in addition to the $70 million collected previously. The new phone is scheduled to release in October. The company intends to sell the device in eight new stores, located in places with the most active kriptosmartfon such as Vietnam and Turkey. Hogeg hopes that the later sale will be implemented through the mobile operators. At the moment Sirin had received a preliminary order for 25 000 Finney. The company plans to release this year from 100 000 up to several million units. The device will support all types of tokens. This will allow owners to make purchases on sites that accept cryptocurrencies such as Overstock.com and Expedia, converting cash in special tokens, if necessary. Also users can, for example, to activate Wi-Fi on your phone during a commute to work and get paid in tokens, from those who wish to access the network. Sirin said that Finney will handle everything related to tokens mobile services using the physical ID. Instead of having to enter the address and private key, users will be able to prove their identity by scanning the iris, a fingerprint and a simple password. Swiss Sirin hopes to license its technology to other handset manufacturers. This can reduce the cost of Finney from $1000 to$200. “In order for the user base grew, the decision must be compatible with existing equipment and focus on a wide range of users,” said Lucas Nutstsi (Lucas Nuzzi), analyst Digital Asset Research. Sirin is expected to reach the mass market before competitors, such as Zippie and BitVault. 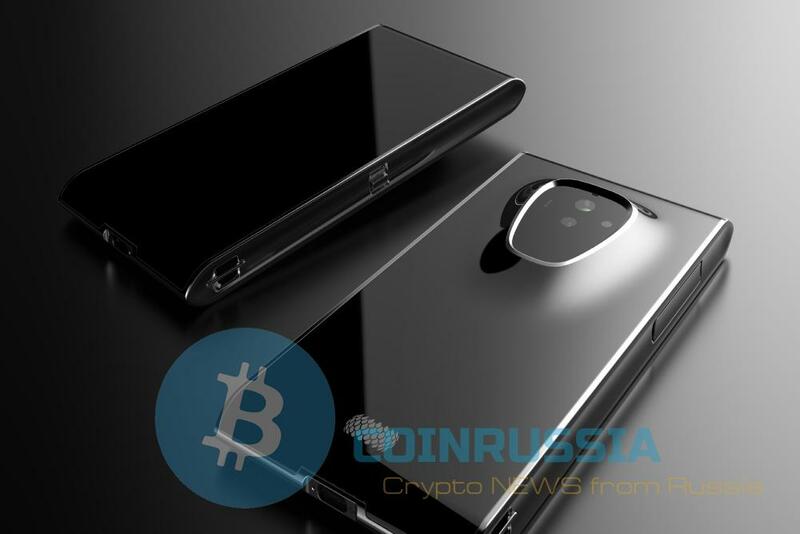 Zippie, which in February grossed 30 million dollars during the primary supply of coins was created by a team of 10 people with experience at Nokia and Jolla. This startup, according to the founder Sarina Antti (Antti Saarnio), will also be licensing its software to equipment manufacturers. Next articleHow much it costs to place your token on the stock exchange?